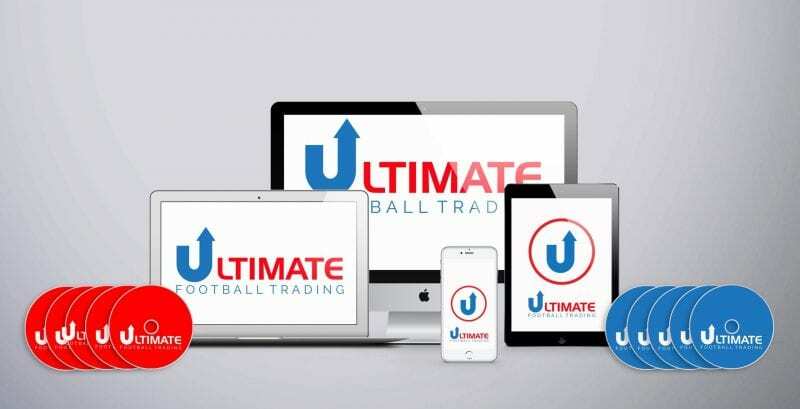 I have been meaning to do a post with some football pre match trading pointers for a while now. I know that many have been trying the strategies outlined in Total Football Trading (most notably the Paper Chaser strategy!) and have reported positive results to me via email along with a few common mistakes but we all make mistakes from time to time, including me! So, no matter what sort of strategy you are using to trade football pre match on Betfair, I have a few things that are worth bearing in mind. Nice move on Zagreb last night and caught some ticks along the way! Being all green before a ball is kicked is certainly the way forward! When you enter a trade, you should always ask yourself just why the price is moving in a certain direction. If you are backing a team that you think will be steaming then try and reason why they will be steaming, and vice versa too. For example, on Monday there was a steam trade on Man Utd Vs Spurs. Man utd were backed in from 1.69 into 1.59 and I managed to get on at 1.65 and gain 5 ticks from it. Getting on a trade such as this was pretty obvious since Man Utd are always strong at home and also it was reported that Spurs were missing Modric who is a key player for them. Therefore, it was pretty obvious as to why the price on Man Utd was steaming as the public fancied them. In the Champions League this week there was a huge steam on Dinamo Zagreb in their match against Malmo. This wasn’t a surprise since Zagreb beat Malmo comfortably in their previous match 4-1 so you would expect punters to fancy backing them again. So if you identify a steamer of a drifter its always good to try and find a reason for such a move. Sometimes, it can be as simple as that team being highly fancied by the public. Whenever I enter a pre-match trade, I always make sure I have my exit point identified. Sometimes I see the price start to swing dangerously close to the exit point straight away however its important you stay disciplined and don’t panic. When trading you have to take the rough with the smooth. If a trade hits my stop loss then it can be annoying but I simply exit and move on. I will normally be trading a few matches per day so I will generally have one or two winners which outweigh the losers. I also notice that some people panic even when they make a profit. Some will exit as soon as they see a few ticks profit as they are afraid it might go against them once again. Well the key is to race your winners and cut your losers short. If you cut your winners short then you will end up going nowhere. A trailing stop loss is something that you should use which can ensure that you still make some profit even if the trend does reverse on you. For example, If I have backed Team A @ 1.90 and within an hour they have hit 1.80 then I will want to let the trade run longer and gain even more ticks. However, I will now change my stop loss exit point and say that if the price rises again and hits 1.86 then I will close the trade completely and take the 4 ticks profit. This is much better then letting the trade completely reverse past your entry price and into your original stop loss and then making a loss on this trade which you initially got right. It is certainly worth googling “trailing stop loss” for more information on how to use these effectively. Humans love round numbers and these markets are a product of human nature. You will often find that traders love to exit their trades at round numbers such as 1.50, 1.75, 2, 2.20. You can use this to your advantage when trying to gauge just how far a steam or drift will go. You might see a team steam from 1.75 down to 1.50 but not go any further then the 1.50 simply because a lot of traders are either backing/laying at that particular price point. In the trading world this creates what is known as a resistance or support points within the market. So once your trade appears to have hit one of these points you might consider exiting the trade as that might be as far as the trade will go before rebounding back. On the flip side, once a price breaks through a resistance/support point you can be in an excellent position as it will normally move all the way down to the next round number. For example, if the price is steaming and breaks through 2.0 then the next price it will settle at will be either 1.95 or 1.90. So, you think a team is going to steam or drift and you enter the market anticipating this. Its about two hours till kick off and the price might be a few ticks against you. If it’s getting late in the day and the move I anticipated hasn’t happened yet I will normally just exit the trade. So if my stop loss is six ticks and the trade has gone against me by 3-4 ticks then I wont hang around to see my stop loss hit as I will just take the smaller loss when possible. Let’s face it, if I have been in a trade for a few hours and the price has only moved against me in this time then it’s not likely to miraculously turn into a winner so it makes sense to just dump it! That’s about it for today, but there is still going to be more in the coming months regarding pre-match football trading in general. Nice article and some good points you made. From my point of view, I think it’s all about ”public perception”….you have to understand what people will like to bet on tomorrow and if you can do it…. you can definitely make money on pre-match trading. Thats why checking betting forums is a good thing to do….. whenewer i see that a lot of people are calling some bet as a ”banker of the day” then i almost always will try to trade that mach. As movements in Betfair are connected with movements in Asia, some odds monitoring software can help a lot. And I am not talking about oddschecker.com or betexplorer.com as they are very slow. Here you need to use Betradar or even better Asianodds from asianconnect. Oh and we shouldn’t forget about trying to get the team news first ( twitter helps a lot !!!) For example, when Nasri signing with ManCity appeared in the news, price went down from 2.48 to 2.40 in an hour approx. That was of course market overreaction. Thanks for the tip Sitilaz. I am certainly going to check out Betrader! Very nice article! Your website have become a “most-visit-everyday-site”. Thanks for your hard work!